Terry Jones Demands Free Speech about Boston: Islam and Muslim Immigration are #1 US Security Threats — 1389 Blog - Counterjihad! 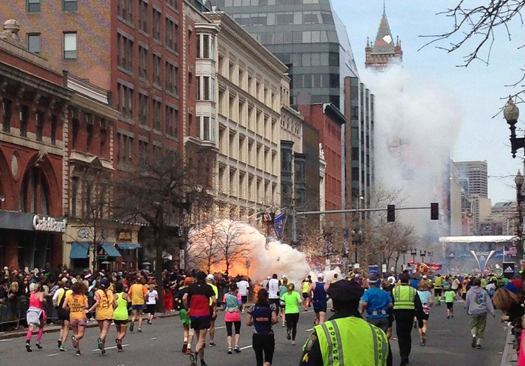 America brought Boston on itself by allowing criticism of Islam to be shunned. We demand free and open discussion about the Islamic teaching the Tsarnaev brothers believed. Interfaith meetings and media denial will drive our country further down the road to disaster. Boston Bombing Suspect #1 Tamerlan Tsarnaev, 26 year old Muslim, entered the U.S. on a Turkish visa. A post in his name on a social media site says: “I don’t have a single American friend. I don’t understand them.” Islam is not compatible with Western society! Islamic terrorists from Chechnya have been trained in Afghanistan for many years and have fought in Syria and Libya. Given the violent anti-American teachings of Islam, it is not surprising that these Muslim men plotted to attack innocent Americans. America should stop Muslim immigration. But will there again be a great coverup by the Great Satan Obama? His Administration, the people he has surrounded himself with, are all some type of closet Muslims, heavily influenced by Islam because of their background. Will there again be a cover up as the present Administration does in order to protect its favorite child? Its favorite child is not the United States. Its favorite child is Islam. That is why the White House cancels prayer meetings but invites terrorist organizations like CAIR into the White House and many other very pro-Islam radical individuals and groups. That is why President Obama says the future does not belong to those who criticize the prophet of Islam, because Obama is not pro-American, he is not for First Amendment, he is not for Second Amendment rights. So will there again be a great cover up? I assume there will be. I assume it will all turn out to be something else and will be watered down. But if the truth was known it probably is like most terrorist attacks worldwide. 90% of terrorist attacks worldwide are carried out by Islam Koran believing individuals. Since 9/11/01 there have been over 19,000 terrorist attacks world wide. Our government can no longer be trusted. Exactly what Thomas Jefferson prophesied has happened. He said, “The two enemies of the people are criminals and government, so let us tie the second down with the chains of the Constitution so the second will not become the legalized version of the first.” That prophecy has come true. The Obama Administration’s strategy of appeasing Islam will not stop its radical element. That can only be done by a show of force and determination.